Periodical lovers rejoice! 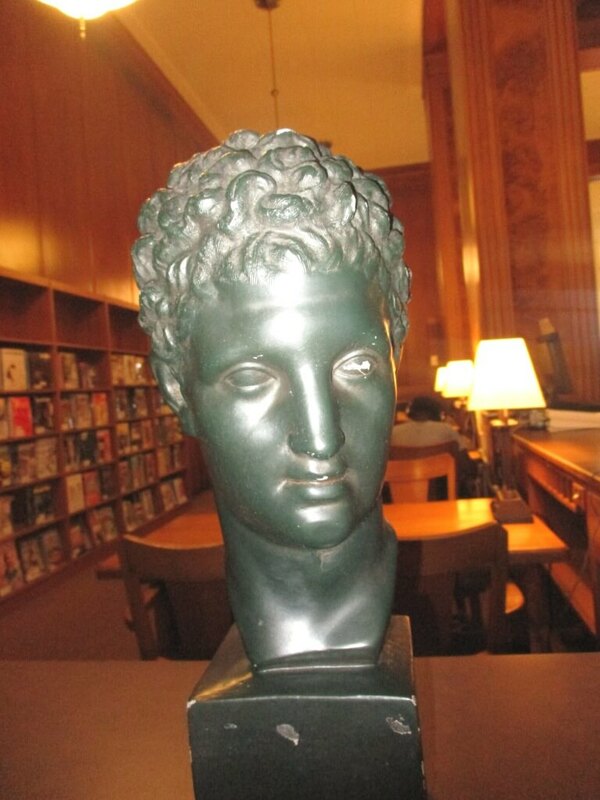 [Photo David Kramer] A preliminary search by the Local History librarian has not determined whose likeness is the statue. Maybe Appollo or Alexander the Great? Do you know? 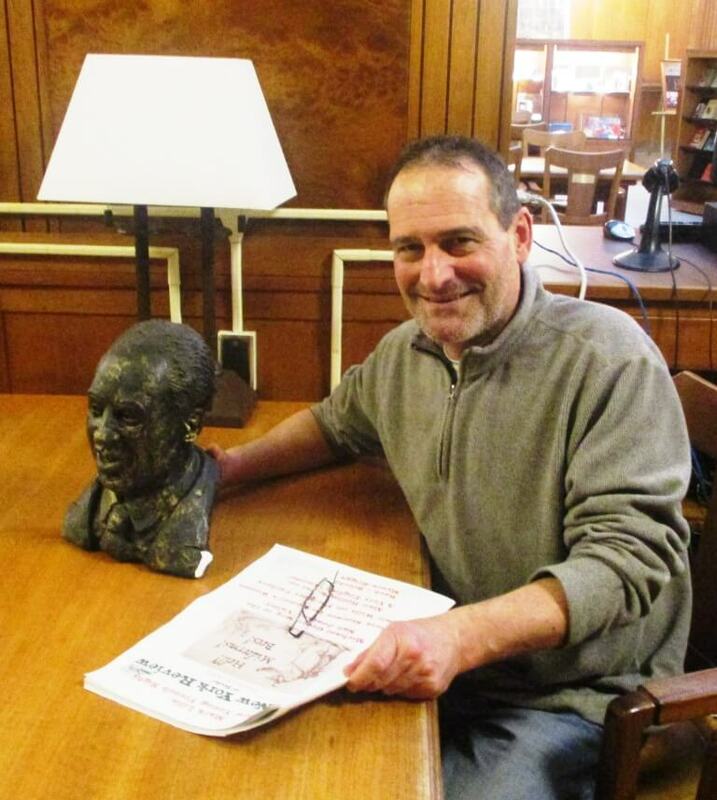 Recently, when reviewing the 2018 Art of the Book exhibit in the Rochester Central Library’s Harold Hacker Hall, I wandered into the area — across from the Anthony Mascioli Gallery — set aside for the library’s impressive collection of current periodicals. 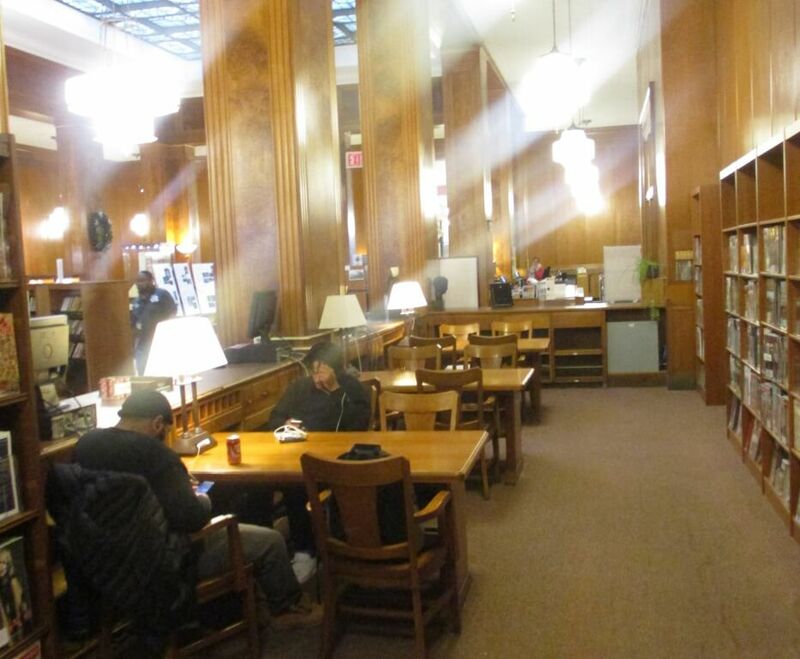 Central Library has long been known for its vast and varied periodical collection of academic journals, literary and popular magazines, and newspapers national and international. Outside of local academic libraries, the collection was perhaps only eclipsed by World Wide News in its heyday. But, of course, publications at WWN are not free to the public. Not too long ago, the collection was moved to an alcove space in the Arts & Literature Section to the right of main entrance. Under ample light, the collection of periodicals — some of which circulate — are housed in attractive wooden shelves. 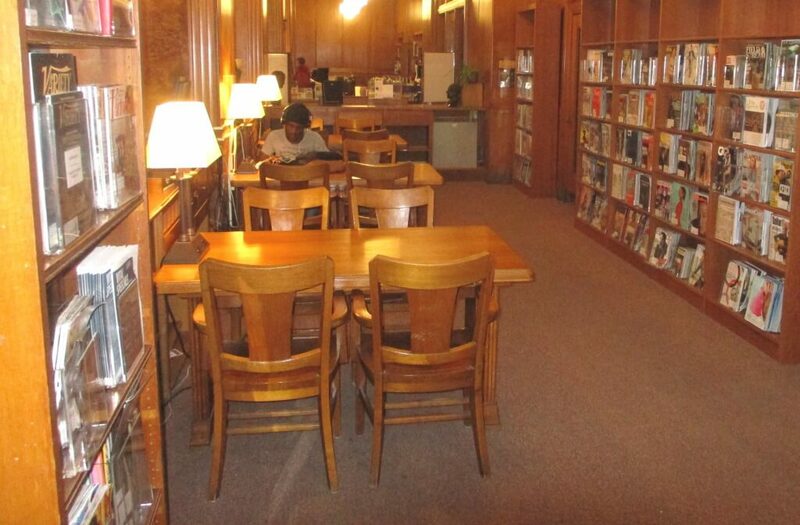 Several tables are available for literary browsers and loungers or just those who enjoy the ambience. Two statutes peer down in seeming approval at the texts and readers. To learn more, I turned to Literature Librarian Andrew Coyle who also manages RUNDELANIA, the digital literary journal of the Arts and Literature Division. Based on your observations, who uses the collection and for what? What are some of the more unique items probably not available at other public libraries? The collection is used by casual browsers and also patrons with expertise or some professional connection to the subjects covered. The stacks are often used by patrons doing some type of research, either for educational, professional or personal reasons. As far as interesting periodical holdings in stacks, in Literature Stacks we have nearly complete collections of The New Yorker and The Paris Review, going back to 1925 and 1953. We also have the complete, short lived, two year run (1896-1898) of Cosmopolis, the international literary journal from London and New York that included great American, English, Russian and French writers. The journal has become famous for its quality and breadth. In one issue you could find original stories and essays by Kipling, Turgenev, Mallarme and Conrad. 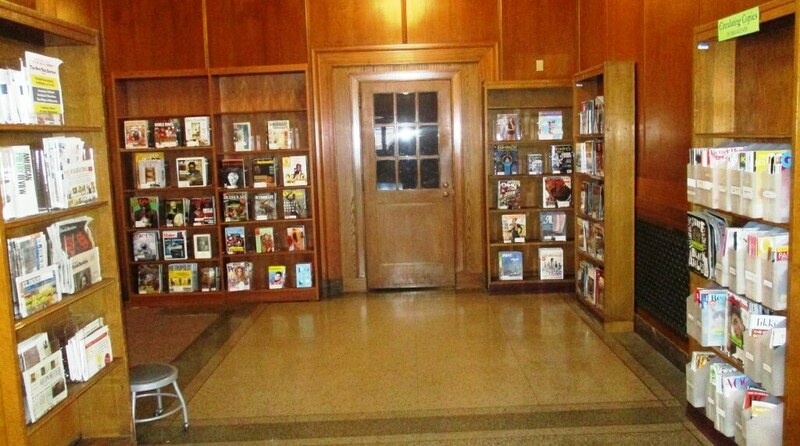 Why is it important that a public library maintain such a collection, including holding all or many of the publications in the permanent archives? The material has been paid for by taxpayers over the years. Periodical subscriptions are expensive for individuals and holding a large collection of journals serves the public who are funding our libraries. A lot of print material is now available online but not everything has been scanned digitally. Electronic copyright is still unsettled and the laws will continue to change regarding rights to material. Having the hard copies in stacks ensures current and future access. Major periodicals are still the apex of many of the specialties they cover. Unlike the internet, which serves a different purpose, the major periodicals go through a selection and editorial process similar to the major book publishers. There is a level of excellence still found in periodicals not found in much of the digital world. So far the collection has weathered the storm of our ever increasing digital world? Where do see this print collection in the future? Digital copyright law is fluid and will continue to change. Technology will continue to shape this law which governs fair use, trade and communication. Until that world is settled (probably never settled completely as technology will continue to change), it makes sense to keep hard copies of the most important material we collect for the immediate, unprohibited access of our users. A mistake many libraries are making is prematurely ridding them of some print material thinking that change is only on a continuum. There will be future technologies developed that are currently unforeseen that will serve those libraries and their users that have held on to their extensive print collections. In addition, Nanci Nugent, Arts & Literature Supervisor, explains how patrons can access periodicals online. The libraries that are part of the Monroe County Library System provide access to their users with a library card to our Overdrive Collection of ebooks and Audio books. The Overdrive collection contains thousands of ebooks, audio books, and magazines. Librarians purchase new titles as they are published so the Overdrive collection is always being updated. 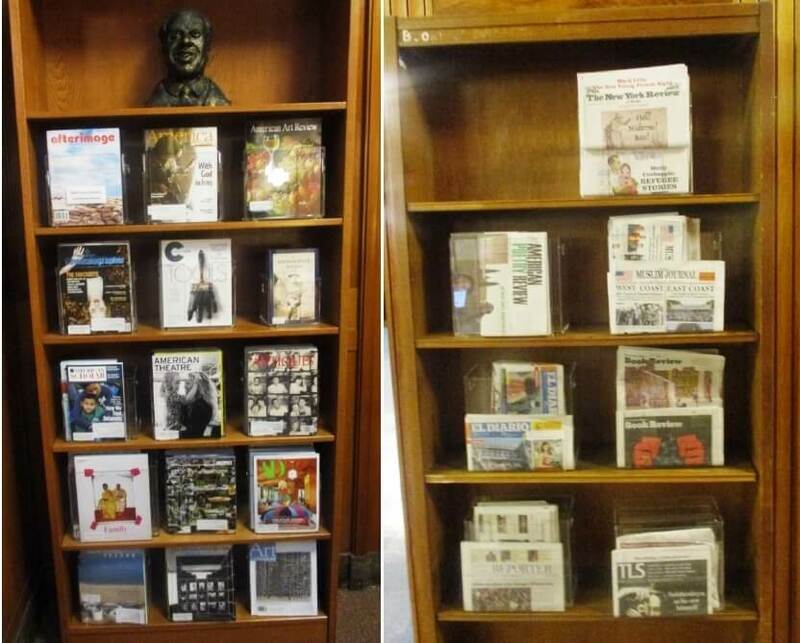 The Arts and Literature Section houses just a small part of the periodical collection at the Central Library. 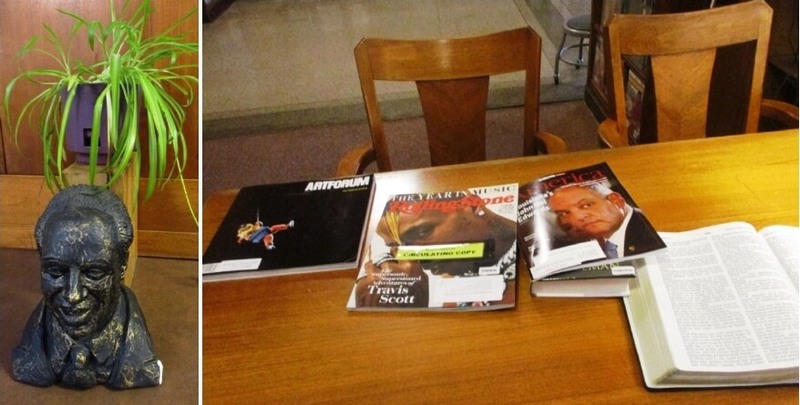 All the subject Divisions have their own periodicals, so there are many many more. For more on Afterimage: The Journal of Media Arts and Cultural Criticism, see this discussion on the history and future of the journal by its editor Karen vanMeenen. The Sculptor, maybe DaVinci, might have hired the same model for multiple roles, Apollo, Alexander, Adonis. Who knows. A definite possibility as far as ancient sculptures go. Luckily, Local History is on the case.